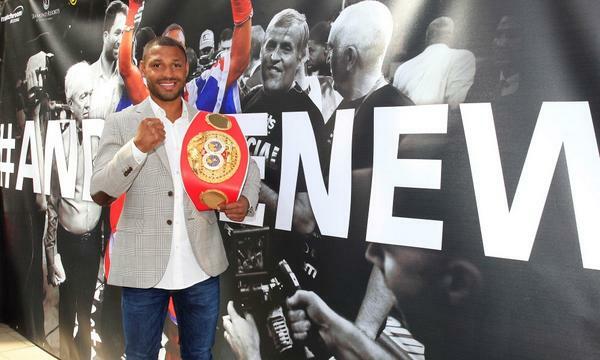 Sheffield world champion Kell Brook is aiming for a ring return next March after a stabbing halted his plans of defending the IBF welterweight title at an earlier date. Brook was unfortunately stabbed during his vacation but the newly crowned world champion has been training with Sheffield Utd's injury specialists in order to receive the best measurement possible. After securing Shawn Porter's world title on a points decision back in August, the Sheffield-born fighter was initially aiming at a December title defense but injury setbacks have pushed the date back to early March where Brook targets a comeback. Brook recently confirmed his 2015 return: "I'm back in training, having no role with the leg. I'll be back in the boxing ring defending my world title in March!" His opponent is unknown, but there is talks of bringing Juan Manuel Marquez to Brook's hometown for the 28-year old's first title defense, nothing confirmed as of yet though. A fight against Mexico's Marquez would certainly draw viewers in, as the 41-year old may still pose a threat to Brook and his world title if his team constructed the correct game plan to bother Sheffield's hero. An all-British summer showdown with Amir Khan is on the horizon, and if Brook dispatches his TBA opponent next March, the welterweight division will be rocking with mega fights including the Sheffield man against Bolton's native. Kell Brook is back in training - looking ahead to his March title defense, but the question is, who will be the one to attempt spoiling the 28-year old's comeback fight? All will be announced very soon.